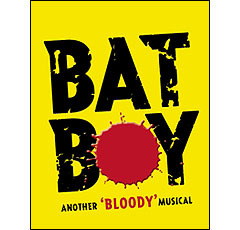 Lang Entertainment served as Co-Producer on the West End engagement of BAT BOY: THE MUSICAL at the Shaftsbury Theatre, London during the 2004 season. After the reported capture of a live bat-child made the US headlines of Weekly World News, the cover story skyrocketed the popularity of that edition, making tabloid history and inspiring authors Keythe Farley and Brian Flemming, together with composer and lyricist Laurence O’Keefe, to create BAT BOY THE MUSICAL, which received critical acclaim in the 2001 New York theatre season. A group of adventure seekers discover and capture an odd-looking youth hiding in a West Virginia cave. Bringing him home to the townsfolk of Hope Falls both shocks and intrigues this sleepy community, setting the tone for a journey filled with fear, hope, heart, humor, and love.